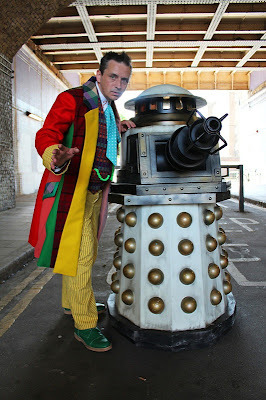 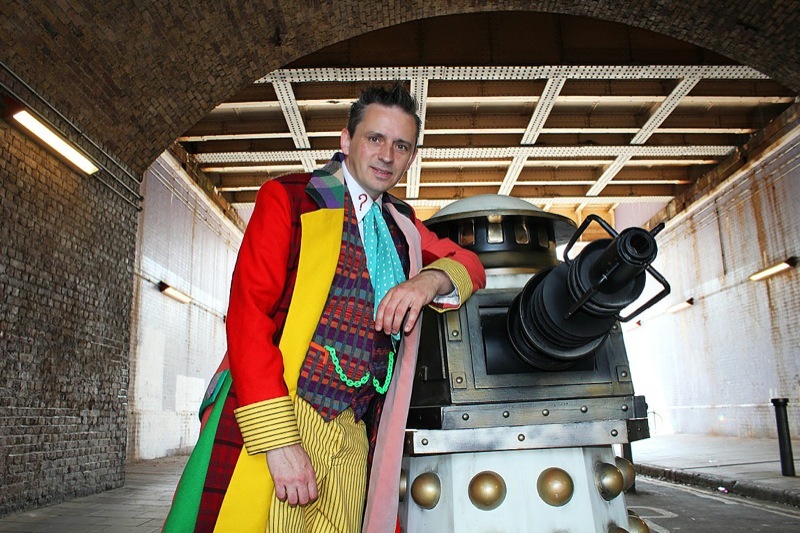 Making My 6th Doctor Costume: Six Frock coat vs Special Weapons Dalek! 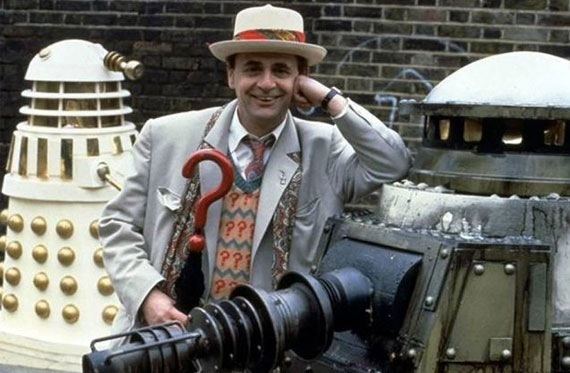 You maybe aware that each month the BFI has been screening a Doctor Who adventure - and since this is July, Remembrance Of The Daleks was being screen to represent the Seventh Doctor, with both Sylvester and Sophie in attendance. You can read the full story over on my Seventh Doctor Blog, but what you might have missed is I wore my Ultimate Sixth Doctor Frock Coat for a small photoshoot before hand. 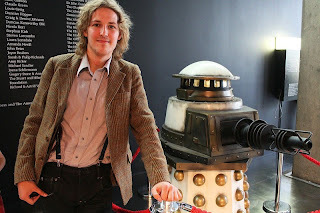 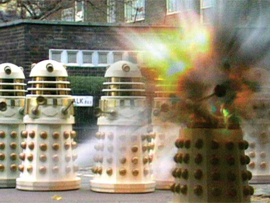 A few weeks ago one of my clients, Tom Nichols, who has a small business hiring out Daleks and TARDISs for event, got in touch to ask if I was going to the BFI screening. It turned out he had offered to display his Special Weapons Dalek in the foyer, and had received the promise of a couple of tickets in return. 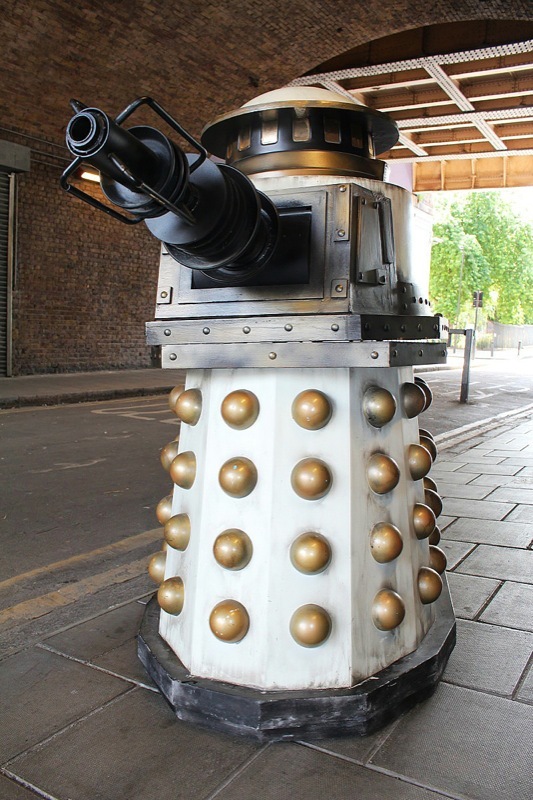 He wasn’t familiar with the area, but I thought it an unmissable opportunity to take his Special Weapons Dalek to Windmill Walk, where the Daleks have a pitched battle in episode three of the serial. The location is barely three streets from the BFI, so Tom jumped at the idea.